The essence of the problem highlighted in the major leak from the Panamanian law firm Mossack Fonseca is that the governments of tax havens still allow intermediary firms to establish shell companies or trusts and don’t comply with international standards on sharing the information concealed in these businesses. The leak of documents, dubbed “The Panama Papers” has caused significant international controversy with names of both the rich, famous and infamous being linked in some way to entities established in tax havens. However analysis of this information has been undermined by the conflation of legal if ethically questionable actions with clearly criminal actions, such as outright tax evasion and the laundering of the proceeds of crime. That individuals and companies use entities in tax havens for various purposes has been known for a long time. Reasons for doing this, which may be unethical but not illegal, include asset protection from creditors or using a subsidiary insurance company. In highlighting the names of significant clients the Mossack Fonseca leak enables inferences to be made as to the different purposes for which these clients have set up these structures. Knowing why companies use these structures is essential to seeking solutions to the problem of the misuse of entities in tax havens. At one end of the spectrum of potential purposes are Australian resident companies and individuals who, at least if pressed, will disclose their interests in entities in tax havens to Australian tax authorities. In these cases the relevant information should ultimately be able to be obtained by existing powers that the Australian Taxation Office (ATO) has under Australian law. Australian administrators can apply the existing law to those companies and individuals. In the case of an interest in a foreign entity which is not controlled by Australians, then it is up to the government to change the laws to cover Australian interests. At the other end of the spectrum are resident individuals or companies that simply never intend to disclose their interests in entities in tax havens to anyone. This is a much more difficult problem to deal with. Some tax haven jurisdictions still permit entities to be established in a way which (for example, through the use of nominee directors) hides the ultimate beneficial owner of the assets and income of the entity. This means that authorities in those jurisdictions simply might not have information about the ultimate beneficial owners of the assets and income. It is telling that, in this instance, the only reason why the extent of the problem and the identity of the clients became known was due to a leak at a law firm. So what can be done about this more difficult problem? Great advances on international exchange of information have been made in recent years. The Global Forum on Tax Transparency and Exchange of Information’s Common Reporting Standard can require information about the ownership of entities such as companies or trusts to be provided. Automatic exchange of information has become the new international standard. However some tax haven jurisdictions (Panama, Bahrain, Nauru and Vanuatu) have still have not committed to the Common Reporting Standard. Moreover automatic exchange of information involving tax havens has not actually happened yet. A group of countries is committed to automatic exchange of information in 2017. Australia is only committed to automatic exchange of information in 2018. Until exchange of information is automatic countries like Australia typically do not have the requisite prior knowledge of undeclared interests in offshore entities to request information about them from tax havens. Also commitments can change. 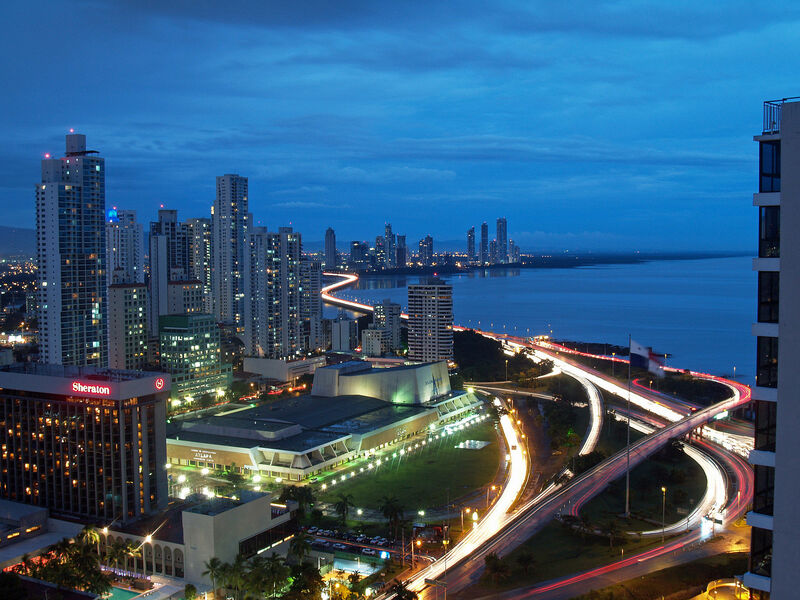 Panama previously had committed to the Common Reporting Standard but then advised the Global Forum that it did not comply with the automatic exchange of information requirements and hence was removed from the list of committed countries. Commitment to information exchange is one thing but the implementation will require more. Many tax havens are in less developed economies and will need assistance in developing legal rules, information technology and systems to enable them to comply with the Common Reporting Standard. This is something that the Global Forum is working on along with monitoring compliance through peer reviews of countries. The stick of being listed as a non-complying jurisdiction has seemed to have worked for many tax havens. However it would be understandable if tax havens considered the attitudes of countries like Australia to be a bit hypocritical on this issue. While Australia is hardly a tax haven, it currently has no rules for attributing income to Australian investors in foreign entities that are not controlled by Australians. Exemptions are also given to the active foreign branch profits and to dividends from foreign subsidiaries funded from active business profits. Australian companies can use base erosion strategies involving deductible payments to divert profits to tax havens and then send them back as tax exempt dividends in Australia. Effectively Australia says to companies – as long as you are doing active business anywhere in the world you can bring the income from that business back to Australia tax free. It doesn’t matter that you haven’t paid tax on that income anywhere. As long as messages like that are given to companies, this diverting of foreign profits to low tax jurisdictions somewhere else will continue. Currently there is no incentive for Australian companies to pay tax on their business profits in the jurisdictions they invest in. If, for example through a non-refundable franking credit, the Australian government gave Australian companies an incentive to actually pay tax in the countries the companies invest in, then the incentive to use tax havens legally would largely disappear for Australian owned companies. If that were the case then tax haven jurisdictions might be more inclined to develop rules which prevent the use of entities in their jurisdiction for illegal activities such as money laundering and outright tax evasion.